The 63rd Moscow Blitz Championship which was organized by the newspaper “Vechernaya Moskva” took place on Sunday, August 30th, in the capitol’s park Muzeon. For the second year in a row the winner was Alexander Grischuk, who collected 17 points from 21 games. 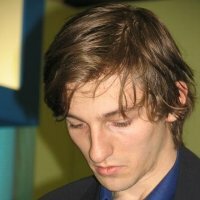 Close behind were Alexander Morozevich and Sergey Karjakin with 16.5 points each. Further standings: Mikhail Kobalia and Vladimir Malakhov -14.0 points, Boris Savchenko and Dmitry Jakovenko – 13.0, Alexander Riazantsev and Farrukh Amonatov – 12.5, Maxim Dlugy and Alexei Korotylev – 11.0, Evgeny Najer and Vadim Zvjagintsev – 10.5, Evgeny Dragomaretsky – 10.0, Boris Grachev – 9.0, Nikolai Vlasov – 8.5, Andrey Kalinichev and Georgy Kastanieda – 6.0, Alexandra Kosteniuk, Evgeny Vorobiov, Konstantin Mesropov – 5.0, Evgeny Vasiukov – 4.0 points. In the Moscow Blitz Championship for women, Valentina Gunina took the trophy with 13.5 points from 17 games, while Darya Charochkinoy finished second with 12. Oleg Pervakov won the Championship for journalists and GM Sergey Shipov was best among chess analysts. Oleg Zilbert wins among seniors and Daniil Dubov was the top junior. All winners were awarded by the tournament’s special guest Anatoly Karpov. Official website.